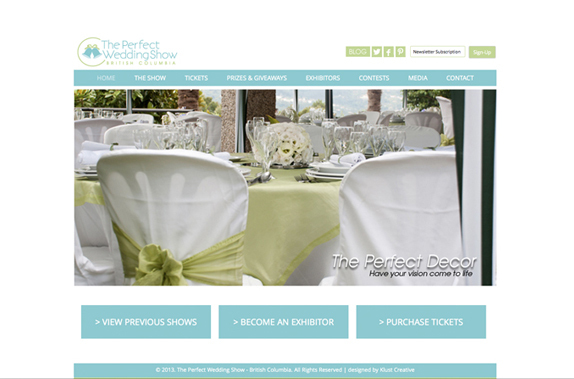 A complete re-branding/web project was in order for “The Perfect Wedding Show – British Columbia”….some love for Canada? The organizers of this group are surely a mix of planners. This is a group of newly married, single and soon-to-be engaged young women who are in love with weddings and creating amazing memories! They’ve found a way to create fun and exciting wedding shows so brides-to-be can explore unique wedding options in one spot!